DON’T FORGET TO SIGN UP FOR COTTON LEADER! The Cotton Board’s newsletter is going electronic. For over 20 years, Cotton Leader has provided quality information and updates about the Cotton Research and Promotion Program. The publication was originally designed to communicate in the best available medium of the time - a printed newsletter. Starting in January 2016, Cotton Leader will no longer be delivered in the printed version. Sending Cotton Leader electronically will save a significant amount of operating dollars, and also provide the option of sending links and images along with the information. 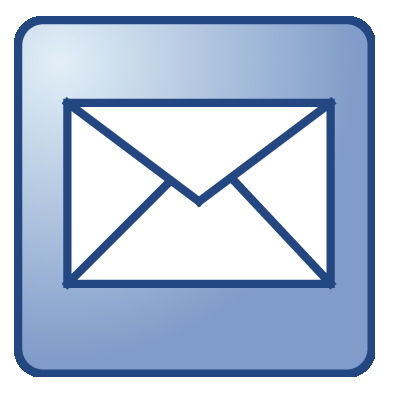 The Cotton Board is committed to disseminating timely Program information and will continue to do so by sending Cotton Leader directly to your email inbox - so, we need your email addresses. 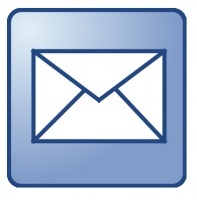 To sign up, visit www.cottonboard.org and click on the “email newsletter” link in the top right corner of the site, directly above the seal of cotton. After the December issue there will be no more hard copies mailed. 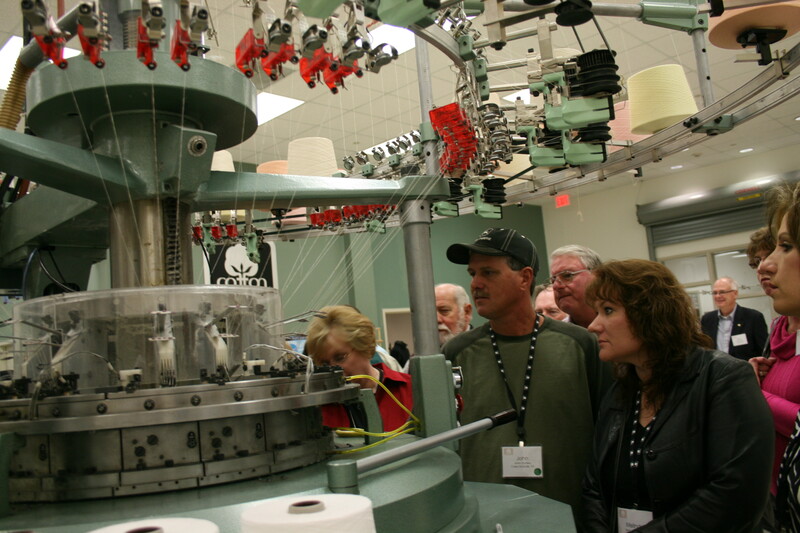 For over a decade, The Cotton Board Producer Tour Program has given thousands of cotton producers the opportunity to see their ag promotion dollars at work inside Cotton Incorporated’s World Headquarters and Research Facility in Cary, North Carolina. This unique program allows attendees to hear key Cotton Incorporated staff explain current research and developments in their specialized area of work and also visit the innovative, world-class research laboratories located inside the headquarters. The second day is spent at a local textile mill where cotton is processed and manufactured into a commercial product. In 2016, The Cotton Board will be conducting four producer tours of Cotton Incorporated. Cotton producers interesting in attending one of these eye-opening tours should contact their Cotton Board Regional Communication Manager (RCM). Space is limited and participation is granted on a first come first served basis. 2016 Cotton Incorporated Tour Opportunities: Multi Region Tour - February 14-16 / Western and Southwestern Young Guns Tour - March 20-22 / Mid-South and Southeast Young Guns Tour - June 19-21 / Women in Ag Tour - August 14-16. Contact your Cotton Board Communications Manager for more information: West, Mid South - Brent Murphree, 602-810-1171; Southwest - Bob Stanley, 806-438-4802; and Southeast - Monty Bain, 334-322-7111. Cotton Incorporated and the Plant Management Network have launched two new Focus on Cotton webcasts. The first webcast titled “Detection of Virus Diseases of Cotton” provides cotton growers, consultants, and other industry experts with an overview of how systematic sampling can help identify the prevalence and movement of cotton diseases, as well as aid in disease treatment and the overall prevention of epidemics. This 10-minute talk by Akhtar Ali, Associate Professor of Plant Virology at The University of Tulsa, provides information about: Symptoms associated with viral diseases of cotton; Common viral strains which greatly impact productivity and yield; Behavior of viruses and the role of pests in transmission; and Survey results from cotton fields in Oklahoma and Texas. The second webcast titled “Equipment Mounted Sensors for VRA in Cotton” helps cotton growers, consultants, and other industry experts understand the challenges and opportunities of using sensor-based Variable Rate Applicator technologies in cotton production. This 20-minute talk by Randy Taylor, Extension Agricultural Engineer at Oklahoma State University, provides information that helps users understand: Differences between map and sensor based VRA; Limitations of sensors and VRA equipment; The importance of using and optimizing prescriptions for VRA; and Adjusting rate controllers for use with sensor systems. 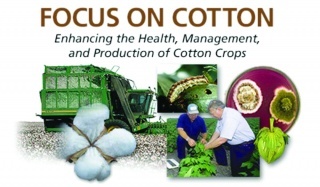 These webcasts are available free of charge, courtesy of Cotton Incorporated, at http://www.plantmanagementnetwork.org/foco. Global cotton prices were flat or slightly lower over the past month. Prices for the December NY futures contract eased from levels near 64 cents/lb to those below 62 cents/lb. The A Index was essentially unchanged, and held to values near 70 cents/lb over the past month. This month’s USDA report featured decreases to forecasts for 2015/16 world cotton production and consumption. The global production figure was lowered by more than one million bales for the second consecutive month. With this month’s decrease of 1.8 million, the projection fell from 107.4 to 105.6 million bales. If realized, this would result in the second smallest crop in recent history, only slightly above the 103.4 million bales harvested in 2009/10. The world mill-use figure was lowered 680,000 bales, from 112.3 to 111.6 million. The decreases in production and consumption resulted in an 880,000 bale decrease in the projection for world ending stocks. The current estimate of 106.1 million bales indicates that the volume of cotton in storage at the conclusion of the 2015/16 crop year will be larger than the 2015/16 harvest. This highlights how much cotton supply is potentially available, even if the crop is smaller than previously estimated. After several years of delays, the Intercontinental Exchange’s (ICE) world cotton futures contract began trading on November 2nd. The specifics involved in the new world cotton contract (trading symbol WCT) can be seen as a blend of details related to NY futures and the A Index. Although the only WCT contract month currently being traded on the new exchange is May 2016, WCT contract months will eventually be the same as those for NY futures (March, May, July, October, and December). A founding motivation for the establishment of the new exchange was that it would allow merchants and mills to hedge on a platform based on global supply and demand. Although merchants have long used NY futures to hedge cotton grown around the world, only U.S. cotton is eligible for delivery against NY futures. This may have led the U.S. supply and demand situation to have an outsized influence on NY prices. Another benefit of the WCT contract is that delivery points are in Asia, where the majority of the world’s spinning occurs. Delivery points for NY futures are all in the U.S. This geographic shift may make WCT contracts more useful to the world’s mills than NY futures have been. For the WCT exchange to become an effective tool for hedging, it will need widespread participation. The more merchants and mills that use it, the more it will be trusted, but getting a sufficient number of early participants could be a challenge. The direction of WCT prices can be expected to be dominated by the same set of factors driving movement in cotton prices around the world. Those factors include a high level of global supply, tightness in stocks in certain key countries, like the U.S., as well as sluggish global demand. In combination, these factors suggest continued range-bound movement for prices everywhere.